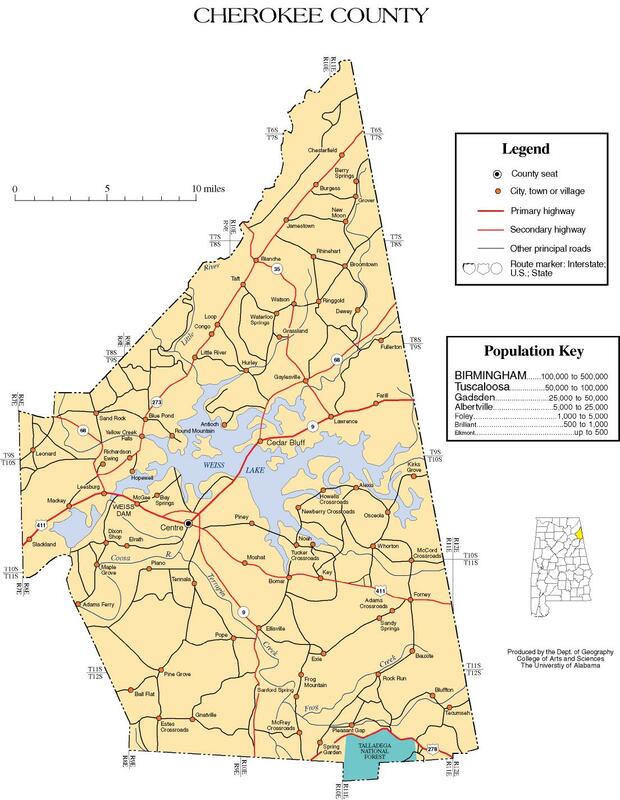 Pickens County was officially designated by the Alabama State Legislature December 19, 1820 and named after General Andrew Pickens, a Revolutionary War Hero. Pickens County is 890 square miles of rural forest and livestock lands on the midwestern state border alongside Mississippi. 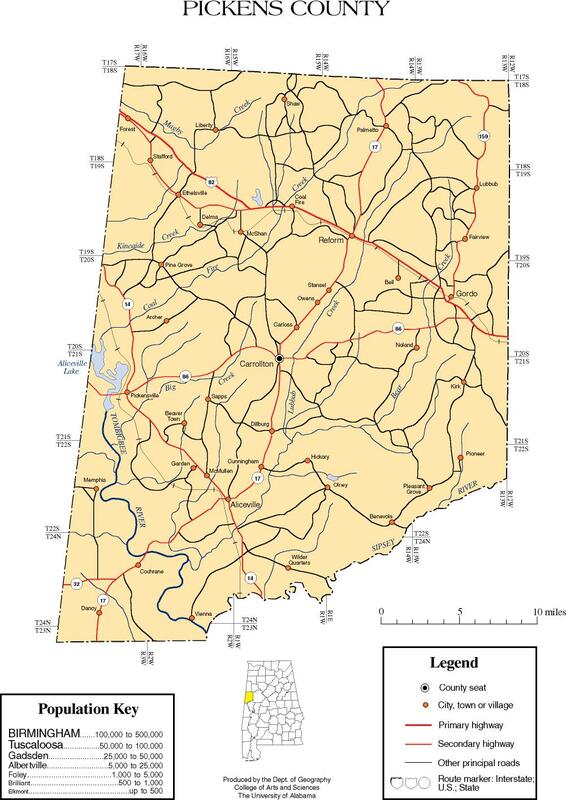 Lamar and Fayette Counties border Pickens County on the northern line while Tuscaloosa County borders our eastern line and Green and Sumter Counties border our southern line. Timbers found in the forests of Pickens County are Ash, Birch, Black Walnut, Cedar, Cherry, Chestnut, Cottonwood, Cypress, Elm, Gum, Hickory, Maple, Mulberry, Oak, Persimmon, Pine, Poplar, Sycamore and Willow. Early settlers of the section endured all of the hardships synonymous with pioneer life. They used the Indian trails to bring their corn on packhorses from beyond the Black Warrior. There homes were crudely built log cabins with no additional shelters for their stock. Progress toward real civilization began with the establishment of churches, opening of roads and the running of steamboats. The county is located in the domain that was claimed by the Choctaws, the northern boundary being the line between the Choctaw and Chickasaw Nations. In DeSoto’s time, there were no Indian settlements within the borders of the county other than a few villages near the confluence of the Sipsey and Tombigbee rivers. Carrollton, Alabama serves as County Seat for Pickens County. Carrollton is also home of the infamous “Face in the Window”. Legend has it that in 1878 a man named Henry Wells was being held for the crime of burning the courthouse and even more serious crimes. Wells was hidden in the garret of the new courthouse from an angry mob and while Wells was peering out of a window in the garret a storm passed over. Lightning struck and Well’s face was stamped indelibly upon that pane of glass. To this day the window remains to tell the legendary story.